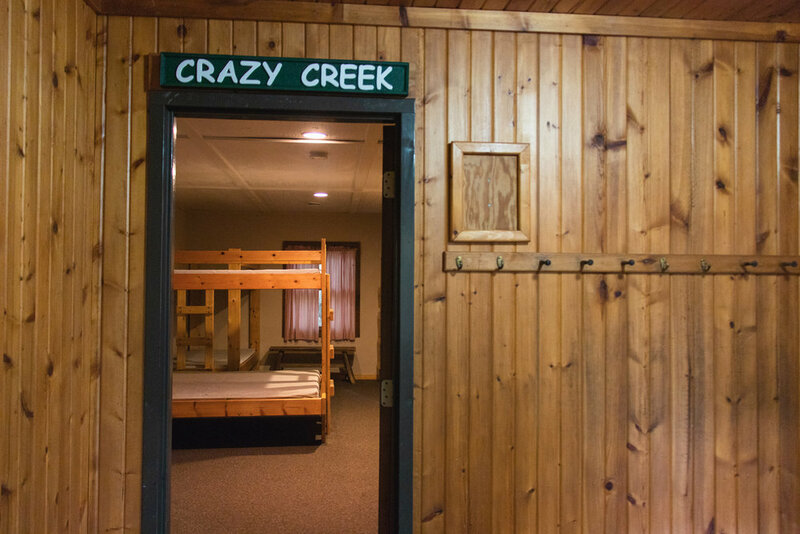 Crazy Creek and Crooked Gully make up the C Cabins, two cabins in one building with a common front porch. 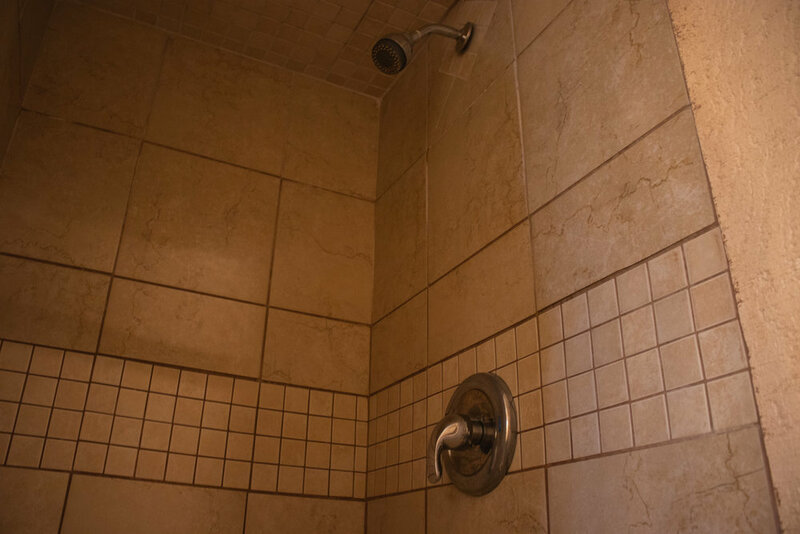 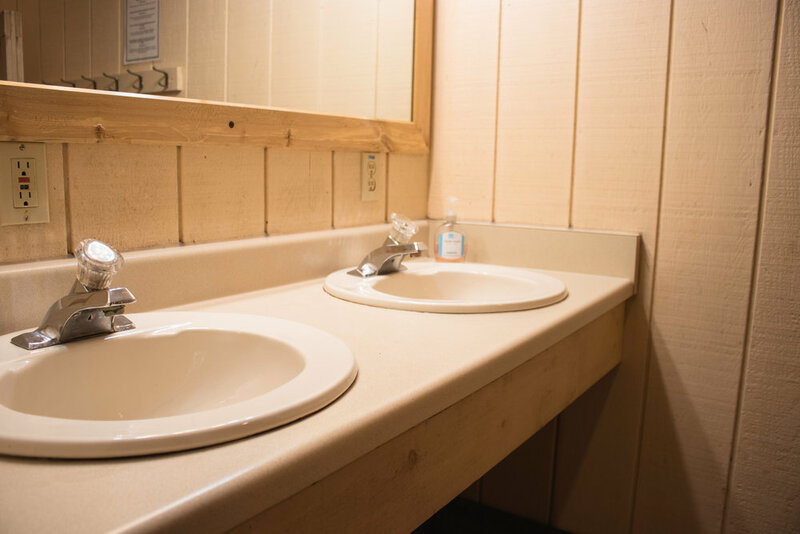 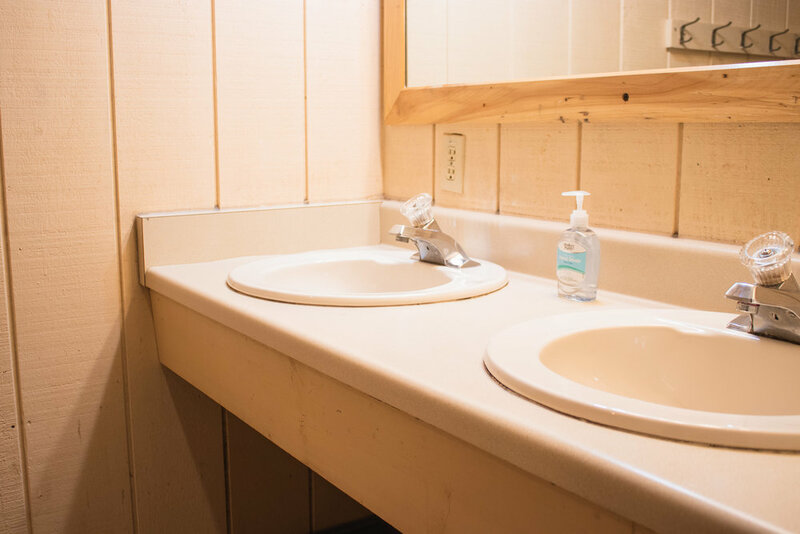 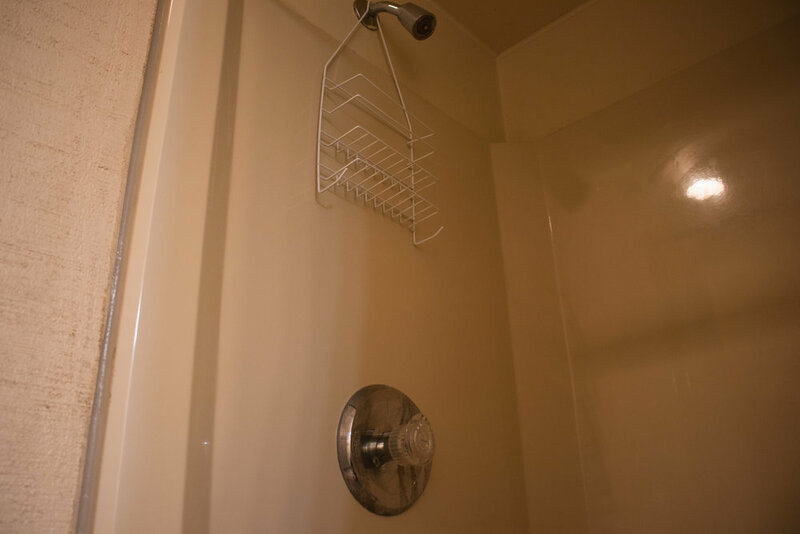 Each cabin side includes a bathroom with one toilet, one shower, and a sink. 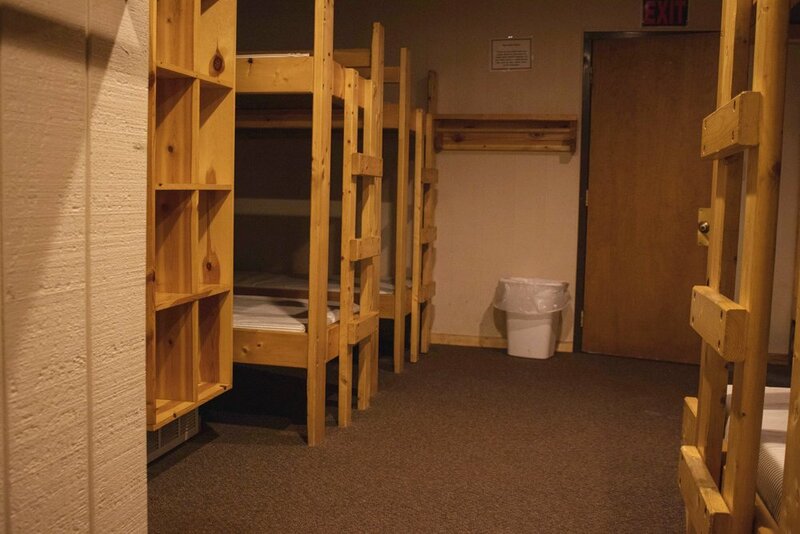 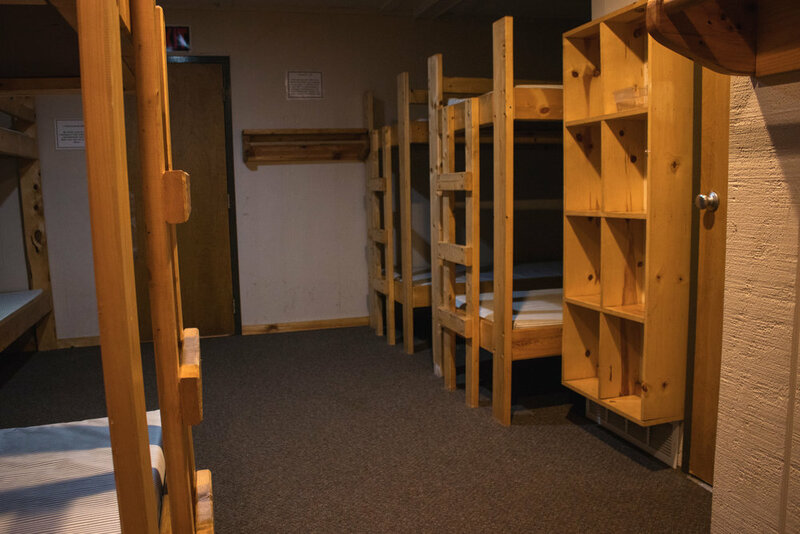 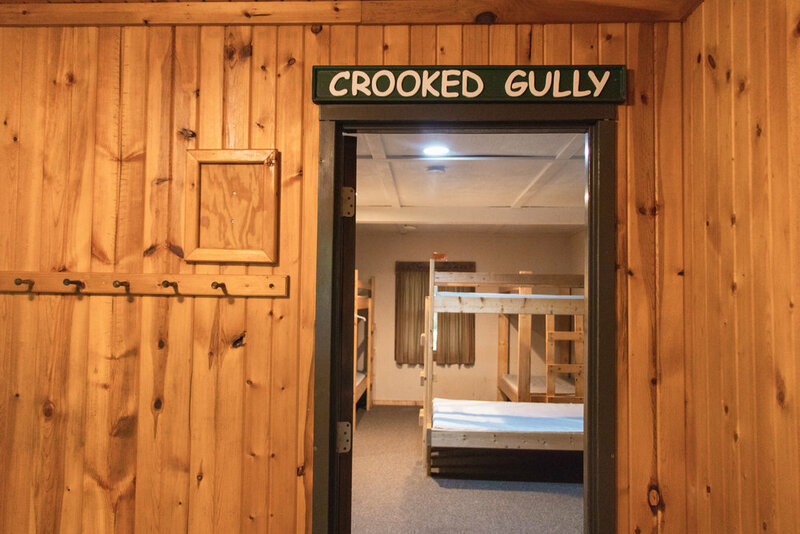 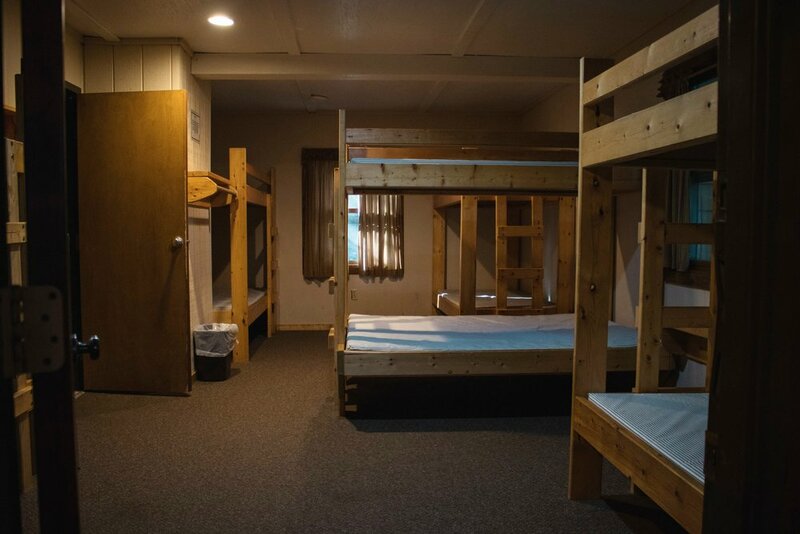 Each cabin side contains 12 wooden bunk beds with foam mattresses, with one bottom bunk being a double bed.